While Reirin is visiting Green Gulch Farm for Dharma Transmission, Michael Newhall from Jikoji Zen Center in California jikoji.org will be residing at the temple. The regular schedule will be ongoing. Please, come and enjoy the company and teaching of our valued friend and Dharma brother! Shoho Michael Newhall began practicing and studying with Kobun Chino Otogawa Roshi in the early seventies. He was ordained in the mid-eighties by Chino Roshi and also in Japan by Kobun's brother Kiebun Otogawa Roshi, with whom he did ceremony and temple training. He also practiced with Dainin Katagiri Roshi and Tozen Akiyama Roshi. Monastery training was with Tenshin Reb Anderson at Tassajara, and also under Kobun Chino Roshi as shuso of angos at both Hokoji and Jikoji temples. In the early nineties he was director at Jikoji. 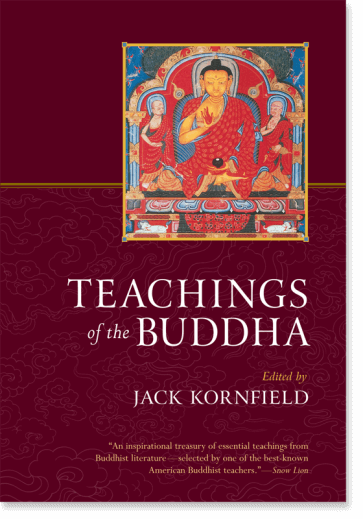 Throughout this time he taught visual arts at various schools and universities, including Naropa University, where he also taught meditation and Buddhism. He received Dharma Transmission in 2004 through Jakko Eso, Vanja Palmers Roshi. Since that time Shoho Michael Newhall has been the Resident Teacher and chief priest at Jikoji Zen Center in Los Gatos, Calif. Please, join us for a day of silent meditation, formal meals, walking and moving meditation, and a short Dharma Talk. Please, call MZC for details. The first day of Spring is the perfect time to renew our Bodhisattva vows! It is also the Full Moon in March, so we will conduct the ceremony in place of morning service, at 7:30 am. Anybody may join us, but it is especially recommended for those who have received the precepts. The formal Soto Zen ceremony is modeled on an ancient one, which was already performed before the time of Shakyamuni Buddha. It has several parts to it, all chanting and lots of bows (may be done standing). It is possible to just watch, if you are curious, but don’t feel like joining in. offer a practice that is especially valuable for our hectic times. Join us for a deeply peaceful and insightful day. In Buddhism, contemplative meditation is used as a path to non-self, a path to emptiness, a path to directly experiencing enlightenment. Considering its transformative power, it is regrettable it is taught so infrequently today. Contemplation meditation is analysis and observation, during a meditative state, of a question or concept and simultaneously of Self. It is analysis of a phenomenon so that we can see its true nature clearly, and observation of Self in that same context. In this retreat, we will explore a variety of different contemplative meditations, some simple and singular, some complex and sequential, to gain a new or renewed insight into the Bodhisattva Way. We will learn how to do a contemplative meditation so it is most effective, and then we will discuss our insights. Everyone is welcome! Please, sign up by email or phone. We started this class in January, but have only had one class so far, because of weather. Anyone can join us any Tuesdays for the coming 7 weeks. Please call me if you would like to attend at 414-399-3498. We will closely examine the Buddhist cornerstones of Wisdom and Compassion as they appear in different scriptures. It will be interactive, which means that, besides the eight weekly sessions, participants will study a text of their choice and prepare a presentation for the group. 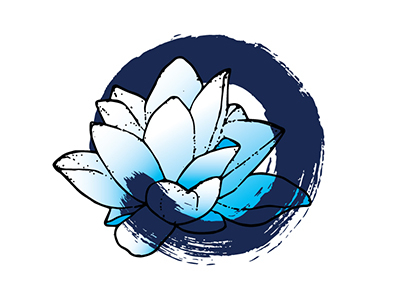 Every second Monday in the month, members of the Buddhist Peace Fellowship bring and serve food to 80 men in the GUESTHOUSE, 1216 N 13th Street, in Milwaukee. The current menu is Chili, Cornbread, Coleslaw, and Icecream. All other events are cancelled for that time. Karma is seen as cause and effect, intentional action done through body, speech, and mind, and the consequences we reap, which will in turn create new karma. The Buddha showed us how we can stop this cycle and enjoy a life of freedom for ourselves and others. Carl Jerome visits us again from North Shore Meditation Center in Highland Park. Fee: $40 per person, membership discounts apply. Dana for the teacher welcome. Please bring plenty food to share, as the Guests may be joining us. TPC offers food and beds to homeless people during the winter months. BPF enjoys a warm friendship with Karen Hagen, the pastor of this church, who let us use the sanctuary for the Film Series on Racism. ALSO: the annual SOCK DRIVE is on: new warm socks, please, to donate to those who will spend much of the winter outdoors. Please, consider a generous donation! Let us gather our minds in a peaceful place, contemplating our intentions for the New Year! Japanese Noodles as refreshment, and break. Resuming sitting at 10:30 pm. At 11:40 pm, the Peace Bell will be rung 108 times. Fire Ceremony at midnight: throw your old karma into the cleansing fire! On this shortest day of the year, let our inner lights shine bright! You are invited to contribute poems and songs of the Season. How to develop a spiritual discipline we need for these times. Fee: $40. Membership discounts apply. Please, consider a generous dana for the teacher! Please, join us in this joyful ceremony which commemorates the enlightenment experience of Shakyamuni Buddha on the seventh day of his quest for the truth. We will celebrate our own awakening with bows, chanting, and circumambulation of the zendo with drum accompaniment, and rain of flowers. For exceptional service to society through longtime direct work with those incarcerated within the state prison system across Wisconsin, decades of active participation and leadership with the Interfaith Conference’s Committee for Interfaith Understanding, and advancement of interreligious knowledge, tolerance, and friendship through extensive public speaking. She also currently coordinates the Milwaukee Zen Center’s prison program, serves on the Solitary Confinement Workgroup of WISDOM and on the Mpact Council of the Milwaukee Repertory Theater, and tutors people new to this country in the English Language Learning program at Literacy Services of Wisconsin. Ellen Krug , while an Iowa civil trial attorney, transitioned from male to female in 2009. Ellie currently speaks, trains and consults on diversity and inclusion topics. and train us in Grey Area Thinking, a tool kit she developed for meeting people who don't act or look like "us". Beginning with The Tassajara Bread Book in 1970 Edward Espe Brown has been inspiring cooks and bakers to wake up and realize their capacity to nourish themselves and others with their labors in the kitchen. Ordained as a zen priest by Shunryu Suzuki Roshi in 1971, he has been leading meditation retreats and cooking classes for more than 30 years. He edited a book of Suzuki Roshi’s talks Not Always So that was published in 2001. Along with zen and cooking he has been interested in poetry, yoga, qigong, Mindfulness Touch (hands-on healing), Liberation Through Handwriting Change, clowning, and improvisational theater. The subject of a documentary movie How to Cook Your Life, directed by Doris Dörrie (2007), his Complete Tassajara Cookbook came out in September, 2009. His new book No Recipe, published by Sounds True, came out May 1st of 2018. Text will be supplied. Please sign up by September 30. This is a great opportunity for all, including beginning practitioners, to try out a longer sitting. Fee: $20 for non-members, member discounts apply.